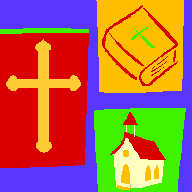 Our Church Structure consists of the Church Staff to provide the Ministerial leadership and guidance; our Church Council provides the administrative support, our Deacons provide additional ministerial support for the staff and our Church Officers govern the business side and the Commissions handle the day-to-day operations of our congregation. 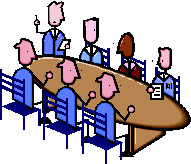 Our Commissions (committees) provide the day to day leadership and carry out the functions of our ministry to the church members, our community and the world at large. 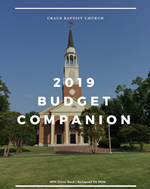 We have quarterly business meetings where status/update reports are brought to the church from each commission, recommendations are made to move Grace Baptist Church forward. Responsible church members participate. We are blessed to have a dedicated, committed, highly skilled and talented staff to lead our church forward. We have an Senior Pastor, a Minister of Music, a Minister of Children and Youth as well as Ministries Assistant, who together form the nucleus for our church's support activities. 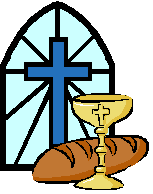 Our Diaconate provides the spiritual and ministerial support with the guidance and careful touch of the church staff. Working hand-in-hand with the staff ministers, the Deacons care for the hospitalized, the homebound, the bereaved and provide outreach for church members and visitors alike. Grace Baptist Church supports the following missions efforts. Visit these sites to find out more about their vision and mission.